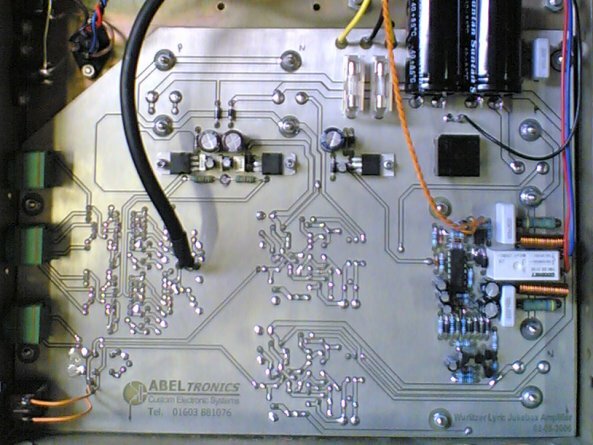 Complete custom designed amplifier and electronics for this classic jukebox. 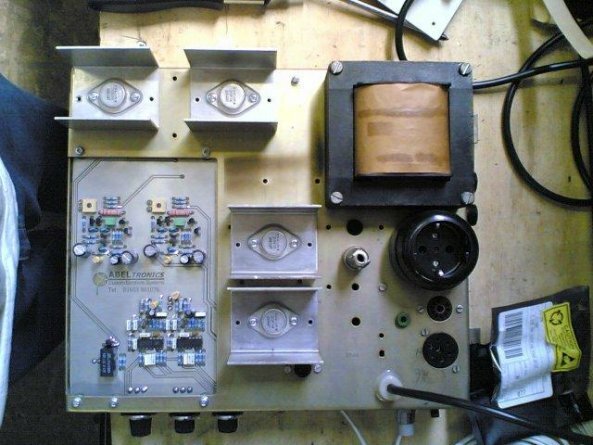 Using as many original parts as possible, we re-created the audio circuitry and added a custom-made modern and great sounding MOSFET amplifier (to replace the original transistor amplifier) and RIAA phono pre-amp stage. 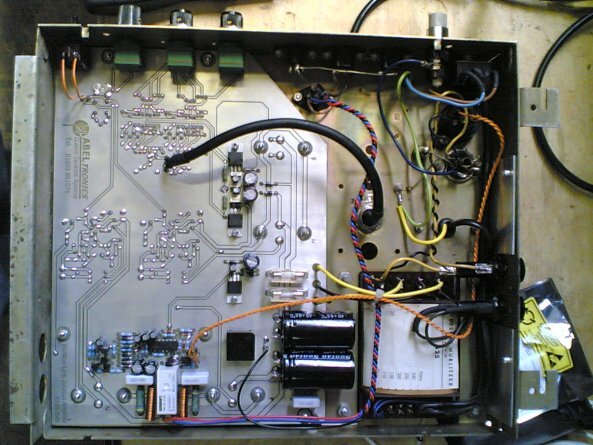 The two 12" loudspeakers behind the bottom panel were in need of attention and were re-coned by AudioLoudspeakers along	with the two midrange/tweeter units behind the top panel. 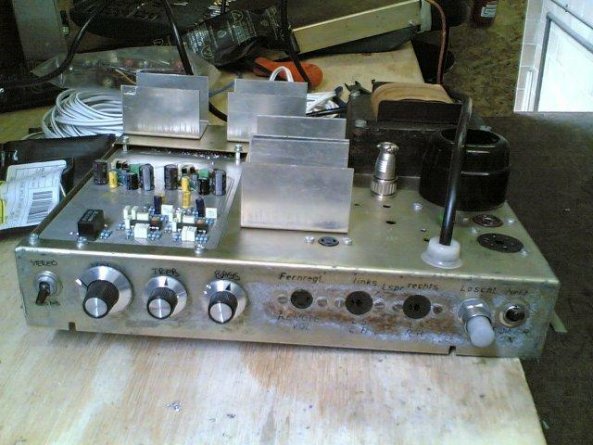 We fitted all this circuitry into the existing chassis and added a mono/stereo switch and volume and tone controls where they would have originally been. 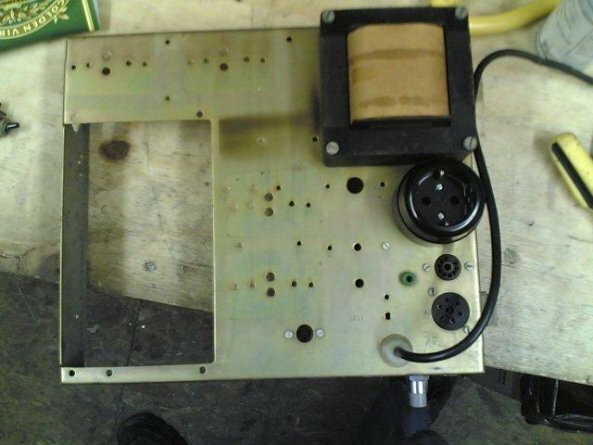 With a bit of a mechanical overhaul, the Jukebox was ready to be delivered to the customer back on song after 20 years. 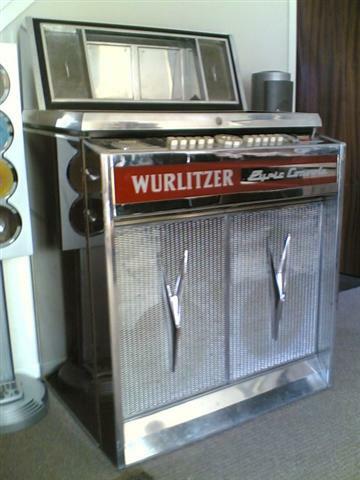 Completed and re-assembled jukebox installed in customer's home. She loves playing her old 45s on a great sounding machine!